I just got this 4 tablet holder from Aleratec and I love it. This is a great little plastic frame, it is very durable and well made. It holds four tablets in place all in one place. It’s a great way to keep your tablets stored and organized. We set ours up on the desk in the office, we have a power bank next to it so we set up the tablets in the holder while they are charging at night. Also this way they are easy to find. We know exactly where they are. It’s a really nice little product that can really help with organizing your electronics. 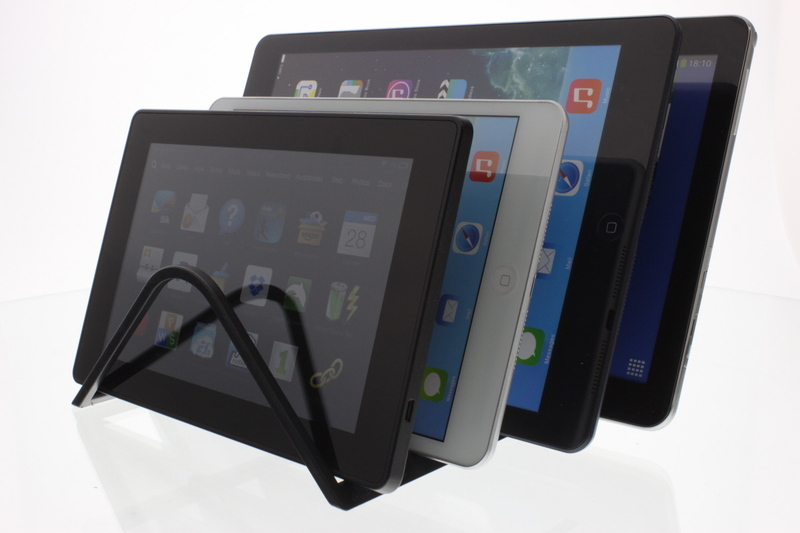 It fits just about any tablet, we have used it with our iPads, Kindles, and Samsung tabs. Works great!